The Canadian dollar futures are the futures derivatives product trading the underlying asset of the Canadian dollar. Unlike the spot markets where the price quotation is based on one U.S. dollar, the Canadian dollar futures are priced as a value of one Canadian dollar to the U.S. dollar. It is simply the inverse of the USDCAD spot market prices. Canadian dollar futures are part of the currency futures markets with the contracts being traded on the CME exchange. The futures are standardized contracts and can be settled for physical delivery of the currency or settled via cash. Hedgers and speculators alike can participate in trading the Canadian dollar futures. 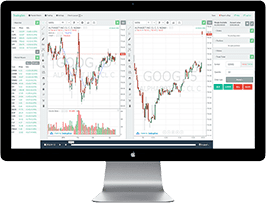 For the day trader, the low margin requirement alongside good volumes ensures that traders can day trade the Canadian dollar futures with relative ease. The average daily volume in the standard Canadian dollar futures is around 100,000 contracts making this a highly liquid futures product to trade. There are many different strategies that one can employ to trade the Canadian dollar futures successfully. These can range from short term technical analysis based techniques or even making use of the fundamentals that determine the underlying trends in the markets. The CME Futures group offers the standard Canadian dollar futures which has the following specifications. The tick value was changed to $5 in the Canadian dollar futures since July 2016. Prior to the changes, the standard Canadian futures contracts had a tick value of $10. Depending on the futures broker that you trade with, the intraday margin requirements for trading the Canadian dollar futures is on average about $500.00. 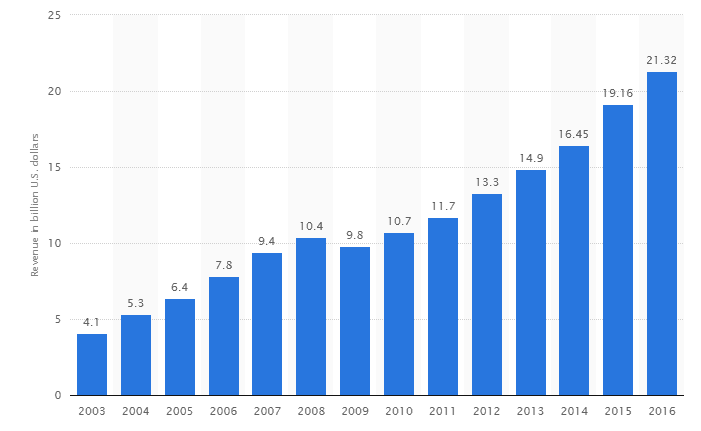 As with any exchange rate, the Canadian dollar is influenced by a variety of factors which broadly fall into either the economic factors or geo-political factors. Canada has a very stable political environment and due to its close proximity with the U.S. the economy is highly influenced by the U.S. economy. The Canadian dollar is known as a commodity currency. This is because of the oil exports from Canada. Traders should know that the Canadian dollar is also influenced by oil prices. Oil in Canada is primarily extracted from the tar sands. It is a more expensive way to extract oil compared to shale oil or even traditional drilling, used widely in the middle-east. However, the proximity to the United States makes it easy for Canada to extract oil and ship it via pipelines. The chart below shows an overlay of the Canadian dollar futures and the WTI Crude oil prices. The long term chart shows how the Canadian dollar and the oil prices tend to follow the same trends. In the above chart, the blue line represents the Canadian dollar futures while the black line represents the NYMEX WTI Crude oil prices. The monthly chart shows how the Canadian dollar and Oil prices move in tandem. Therefore, when trading the Canadian dollar futures, traders also need to keep an eye out on the oil markets which can bring short term volatility to the currency markets. However, utilizing the Oil markets and assessing the trends can also be an additional way to confirm the price trends in the Canadian dollar futures markets. On an intraday basis, the Canadian dollar futures can be traded for speculative purposes for short term gains. With an average day trading margin requirements of only $500 and with a tick value of $5, traders can look towards making adequate gains in the Canadian dollar futures markets with relative ease. Here are some of the ways traders can look at trading the breakouts in the Canadian dollar. A breakout method is primarily used by short term intraday futures traders. By correctly positioning oneself, traders can prepare for a potential volatile breakout in prices as volatility expands. With good money management, traders can limit the downside risks when trading breakouts. Here are some of the ways day traders can use the breakout trading strategies for Canadian dollar futures. The trend line breakout strategy is very simple which makes use of trend lines and then uses volumes to determine the validity of the breakout from the trend line. Trading on the short term time frame such as 15 minutes or lower can offer potential profits in a very short time with limited risks. In this method, the first step is to look at a 15minute, or 10 or 5-minute chart. Analyzing the short term trends, traders can connect the trend line to successive highs or lows to plot a rising or a falling trend line. Traders then need to determine the support and resistance levels, which can be found by looking at levels where price has turned flat. Following the breakout of the support (with a rising trend line) or a breakout of resistance (with a falling trend line), traders can either go short or long accordingly. In the above chart after the trend line is plotted, the red horizontal ray shows the resistance level, which is where we place the stops. The black horizontal ray marks the support which will be the trigger to go short. 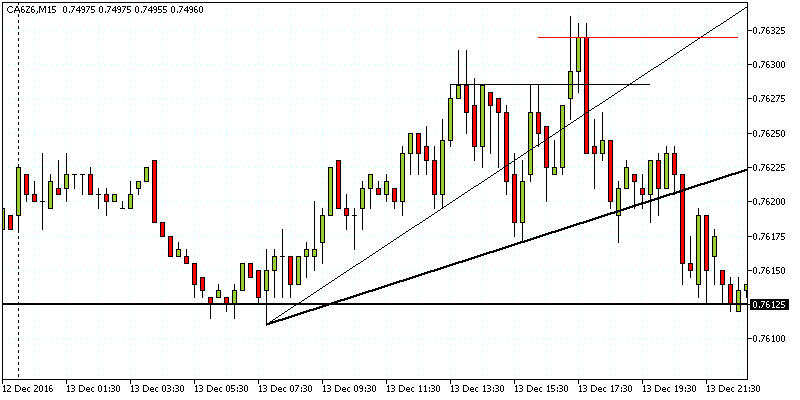 You can see the strong bearish candlestick that broke the support and closed outside the trend line. Short positions are taken at this closing price with stops near the resistance (red line) while targeting the low of the trend line. In the above example after a continuation, price quickly reverses back to post a higher high, breaching the previous resistance level. The above chart shows a new trend line that is plotted with the resistance level now moved to the new higher close, while the short entry is shifted upwards to the previous resistance level which could turn to support. In this second instance, we can see how short positions are taken after the strong bearish candlestick that closes below the previous support and also breaks the old trend line. Price continues lower and eventually reaches the intended take profit level. This method can be further validated by using volatility indicators such as Bollinger bands. The next chart above shows the Bollinger bands being added. In this example, the trend line is plotted to the declines in prices. Support and resistance levels are plotted on the chart and a long position is taken after price dips to the lower Bollinger band and then closes above the previous support low and also breaks out from the trend line. A long position here eventually leads to price reaching the price target set at the high of the trend line. 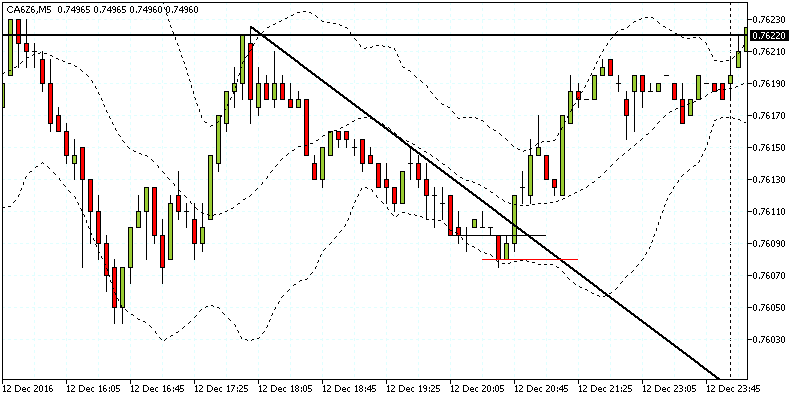 The trend line breakout strategy can be a profitable approach to day trading the Canadian dollar futures. The potential to make profits are big while the risks are limited. While losses are part and parcel of trading breakouts in general the trend line method can be a reliable way to capture the short term profits. Of course, the key to trading the Canadian dollar futures trend line breakout method is to keep an eye on the fundamentals as well which can offer additional confirmation and add validity to the trading signals. Economic events offer a simple approach to day trading the futures markets. On most weeks, the economic calendar is usually packed with various events. The first two weeks of the month are usually busy and the pace of economic releases starts to slowdown towards the third and final weeks of the months. Traders can look for isolated economic events to day trade the Canadian dollar futures markets. In the chart below, the blue horizontal line shows the timeline for the Bank of Canada monetary policy statement. Prior to this event, you can see the previous high and low that was formed. 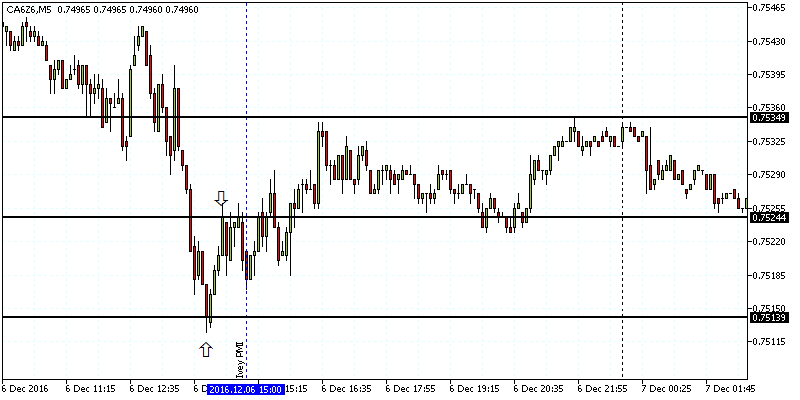 Simply plot a horizontal level prior to the news release and trade the breakout accordingly. For the target price, calculate the pip difference between the high and low and project the same either to the upside or to the downside. In the chart you can see that price broke out to the upside after the BoC's rate statement. 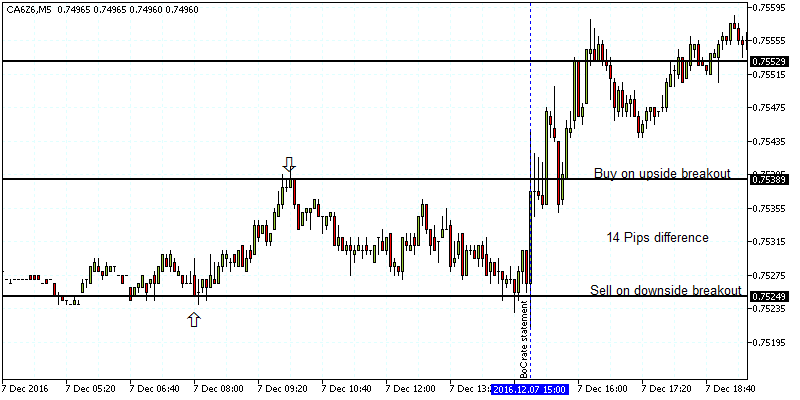 Long positions are thus taken at the high via a pending order and the target is set for 14 pips. Another example can be seen in the next chart below where we plot the highs and lows prior to the Ivey PMI report release. In this example price shows a period of consolidation after breaking out to the upside. However, over time price eventually reaches the projected upside target. The news based breakout offers a quick way to day trade the Canadian dollar futures markets. However, traders need to be disciplined in picking out only the events which are in isolation. For example, there are economic reports that are released within a short time frame as shown in the economic calendar below. In the above example we have three separate releases, all of which were better than expected. However, there are instances when the economic reports can be mixed which adds to a lot of noise and consolidation. It is always better to exclude such events and only focus on single events which allow you to better manage your day trading positions. Day trading based on economic releases works because of the volatility that comes after the news release. Traders can take advantage of this by positioning themselves ahead of the news events and trade the breakouts successfully. 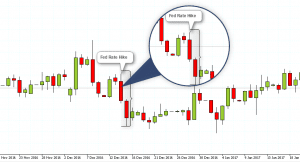 The above two methods of trading the Canadian dollar futures breakouts are simply one of the many ways traders can employ either technical analysis or fundamental analysis to day trade the futures markets. With enough practice, futures day traders can also looking at developing their own custom day trading strategies for the Canadian dollar. In conclusion, day trading the Canadian dollar can be a way to trade the currency futures markets for taking advantage of the short term opportunities in the markets. With the standard futures contracts having enough liquidity, day traders can look to one of the many short term day trading strategies outlined in this article to make consistent profits over time.